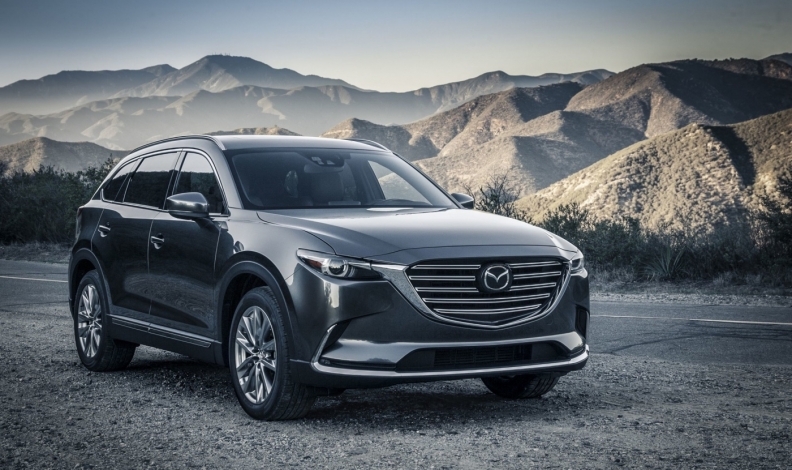 Mazda'z move toward premium vehicles began with the CX-9. VERNON, B.C. — Mazda is making a concerted effort to steal some sales from the lower end of the premium market with a new Signature trim level. “It’s a natural step for Mazda to go upmarket, as premium brands are coming down to gain market share,” said Sean Claessen, executive vice-president, strategy and innovation, at Bond Brand Loyalty in Canada. MercedesBenz, BMW, Acura and the other high-end manufacturers have introduced new models that drop the price of entry in a bid to attract mainstream buyers. Mark Peyman, national manager of product strategy for Mazda Canada, said the move is part of a plan to gain market share by attracting luxury buyers while not ignoring the mainstream buyer. The move began with the CX-9 and continues with the updated Mazda6, in which the Signature model comes with the newly added 2.5-litre turbocharged engine and luxury features such as Nappa leather, ultrasuede accent pieces, wood trim and the full suite of driver-assist features, from lane-keeping assist to emergency braking and pedestrian detection, among others. The base price for the CX-9 Signature, including shipping fee, is $53,214. That compares with a $66,050 base price for the Lexus RX-L, or the $62,755 price for the comparably equipped Acura MDX Tech. That impression is something Mazda Canada is trying to exploit. “We just found that our cars are getting so good on the execution level — we’ve always had the driving dynamics — we just really ratcheted up the interior quality, and we’re getting looks from those premium buyers,” Peyman said. Peyman’s numbers indicate that for the CX-9, as many as 22 per cent of shoppers looking at premium utility vehicles also looked at the CX-9. Most were BMW, Audi and Infiniti shoppers, he said. Unknown, for now, is how many of those cross-shoppers actually bought Mazdas. Claessen said to be truly successful, Mazda needs to also attract customers through upgrading the sales and service experience, perhaps with a concierge service such as with Genesis, the upmarket brand of Hyundai.